Working for Accommodation in New Zealand: What Are Your Rights? Is your work for accommodation in New Zealand a fair deal? 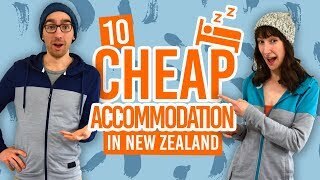 As a budgeting backpacker, working for accommodation gives you a great option to save money while staying in an awesome part of New Zealand a little longer. Get some hands-on experience, meet the locals and stretch those dollars further! While working for accommodation is pretty common practice with travellers on a working holiday visa here in New Zealand, there are a few work for accommodation hosts that may take advantage of the situation. To make sure you are doing a fair exchange by working a fair amount of hours in exchange for accommodation, then you need to be aware of your rights when working for accommodation in New Zealand. With that in mind, we’ve put together this guide so you know your rights and what are the New Zealand laws when it comes to work for accommodation.That way, you’ll have a work exchange experience the way that it’s supposed to be: fair! Be sure to check out our work for accommodation listings on our backpacker job board! Working for accommodation or working for food and accommodation in New Zealand is commonly known as “WWOOFing” or “Woofing”. The term was originally coined from the World Wide Opportunities on Organic Farms (WWOOF) organisation where workers could work on an organic farm in exchange for food and accommodation. While this is still a common practice in New Zealand and a popular experience among backpackers (see Everything You Need to Know About WWOOFing in New Zealand), the term is now used for any type of work in exchange for food and accommodation or work for accommodation only. This could be working in a hostel or other types of commercial accommodation, house-sitting, babysitting, farming, landscaping and more. The common deal most workers and WWOOFing hosts make is for the worker to do 2-3 hours of work per day for five days a week in exchange for accommodation. There are variations of these hours, for instance, you can work more hours in a day for an extra day off. We’ll go more into detail on your rights when working for accommodation below. For rights when working for food and accommodation, see Working For Accommodation and Food in New Zealand: What Are Your Rights? 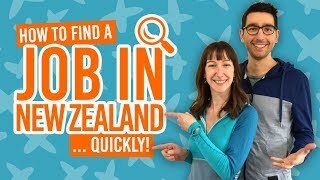 What visa do you need to work for accommodation in New Zealand? To do any type of work in New Zealand in exchange for a reward (in this case, accommodation), you must have a valid work visa. The most common visa people get while travelling in New Zealand is a working holiday visa. However, any other work visa is usually valid too. The work conditions are made very clear when you receive your visa. For more information on the working holiday visa, see What is a Working Holiday Visa? Can you work for accommodation on a visitor visa? If you are in New Zealand on a visitor visa, you cannot legally work for accommodation. If caught, your hosts could be faced with charges. Inspections on work for accommodation hosts have become more and more frequent over the years. What are your rights to working for accommodation and food? What is the value of your work? The most important thing to note is that the value of the accommodation should not be lower than the value of your work at minimum wage. The minimum wage in New Zealand is NZ$17.70 per hour. So for example, if you work for accommodation for two hours per day at a minimum wage of NZ$17.70, your reward must be of a minimum value of NZ$35.40. For more information on what you should be getting paid, see the Employment New Zealand website. Before you start working with your host, you must be offered a choice of either work for a selected amount of hours in exchange for accommodation or paid at least minimum wage. Under New Zealand law, you are entitled to a full wage with only 5% deduction for accommodation for your labour, unless you and your host have both agreed on a fair contract. See more about that in the section below. Do you need a contract to work for accommodation? A work contract for working for accommodation is not only a legal requirement in New Zealand, it’s also a good idea so that there’s a clear understanding between you and your host. Expect working for accommodation contracts to be shorter and more concise than your normal work contract. They might not look like much, but they should display a fair working agreement for both you and your host. When offered a contract, it is likely that you will see the term “lodging”. Lodging is another word for “accommodation”. Do you need to pay taxes when working for accommodation? You only pay an income tax when you are paid a wage. You do not need to pay taxes when working for only accommodation. However, your host will have to pay Pay-As-You-Earn (PAYE) and Accident Compensation Corporation (ACC) taxes on the value of your accommodation and meals, as well as the Goods and Services Tax (GST) on the accommodation provided. For you, this means you are a well-protected employee with benefits of accident medical cover under the ACC. Learn more about ACC in What is ACC and Employee Accident Cover?. What rewards can you accept when working for accommodation? Yes, you can receive cash for your work as long as your host declares it properly so that it can be taxed. If not, then it is considered being given cash “under the table” which is illegal and both you and your host could be taken to court. Can you accept other rewards? Sure you can receive other rewards, whether it’s an activity or borrowing the car for the day or whatever. However, the reward should not be contingent to your work. This means that it’s offered to you as an extra “perk” rather than something you have to work for. For example, if you are told: “if you work an extra two hours then I will give you the car to borrow for a few hours” then it is considered as a reward for work and will be seen and treated under the same tax rules above. BBH, YHA, BASE or NOMADS: What is the Best Hostel Network?